Keep it dry! Whether you’re in a kayak, on an SUP, on a sail boat, or live in a wet climate like the Pacific Northwest, the Discovery Deck Dry Bag from our friends at SealLine will be an essential piece in your TrailblazerGirl arsenal of adventure gear. It’s designed out a rugged waterproof material that is sure to hold up under multiple drops, drags, anything you can put it through. Plus there’s what looks like a soft button on the outside that is actually the PurgeAir valve which is a one way valve that allows you to compress the bag after it’s been sealed. Other smart features include fully welded seams to ensure a waterproof seal; an adjustable strap that can be attached to multiple points on the bag to carry it or secure it to your boat; as well as an oval bottom that allows the bag to stand up on its own. It’s available in 10L, 20L, 30L, and 50L sizes so having a light colored interior makes it easy to see the contents of your bag. 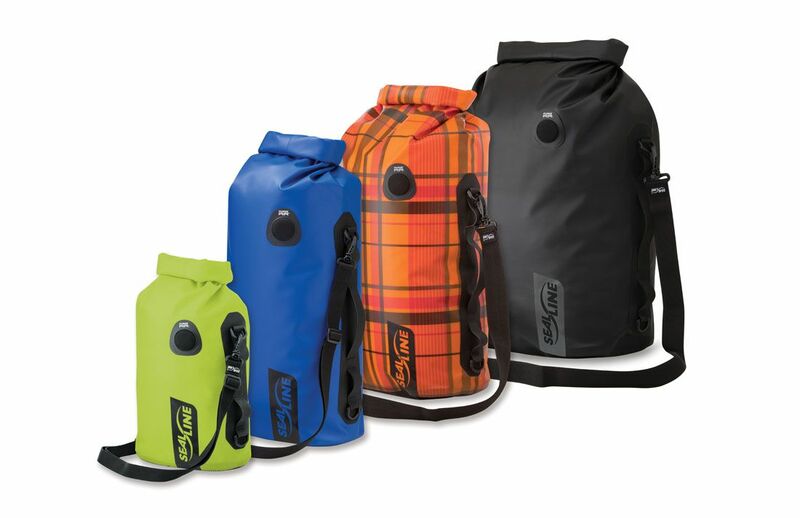 Count on SealLine’s Discovery Deck Dry Bag to keep all your things safe and dry!